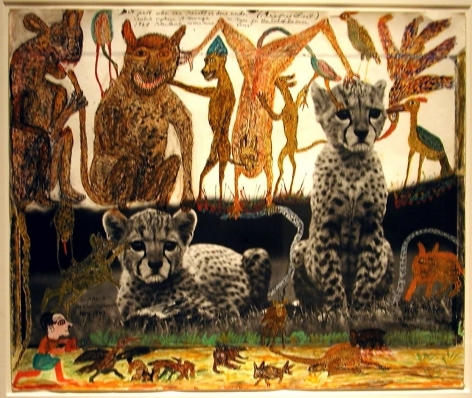 It is difficult to put Peter Beard into a category. If you were to call him an artist to his face he would cringe. 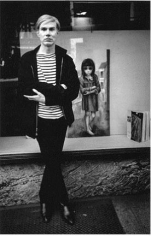 His “work” ranges vastly in subject, he does not belong to a genre. It should be mentioned, for the factually curious, that Beard was born in New York City in 1938. His childhood was spent in places like Montgomery, Alabama where his father was stationed during the war and wrote an entire history of the U.S. Air Force. Beard also spent time in Bayberry Point, Islip, where he sailed beetlecats and starboats with his brothers, and at Tuxedo Park, (established by his grandfather Pierre Lorillard, whom he was named after), where he spent time catching frogs and collecting various other creatures, and was given his first camera by his grandmother. At age 12, Beard was already keeping diaries, and taking pictures became the next natural extension in his method to keep track of and preserve his favorite memories. With regards to education, Beard attended Buckley, then Pomfret, then did a year at a boarding school in Essex, England (between Braintree and Bishop Storford) called Felsted, where he was made to take ice cold baths in the morning and loved being the only American there because “he could get away with murder,” before he went to Yale where he, amongst other things, set the chin-up record (49). Much to the amusement and horror of those who knew him, Beard entered Yale as a pre-medical student. Luckily for everyone involved, due in part to a class he took called ‘Population Dynamics,’ in which he learned frightening statistics about exponential human population growth and the ensuing devastation that it would cause, Beard soon formed the ever-more true hypothesis that humans are, in fact, the main disease, and switched to art history, studying under Vincent Scully and Joseph Albers. The flame of desire to explore, first lit by the trip to Zululand with Darwin’s grandson, burned brighter and, like a moth, Beard was lured back to the wilds of Africa (and also the fact that he would no longer be bound by convention to wear socks). Once back, Beard was introduced to and made a profound friend of Karen Blixen, author of Out Of Africa, Shadows in the Grass, Gothic Tales, and Mottos in My Life. He later settled on a property of his own, close to her, and near the Ngong Hills. In his early 20’s, Beard began to work at Kenya’s Tsavo National Park for a warden who was unaware that most of his elephants and rhinos were about to die of starvation and other stress and density related diseases. Subsequently, over the course of two years, Beard began to document and photograph the overwhelming process that occurs during a population die-off. Over thirty-five thousand elephants and five-thousand Black Rhinos suffered (which, side note, is now roughly more than how many are left in the entire world today). 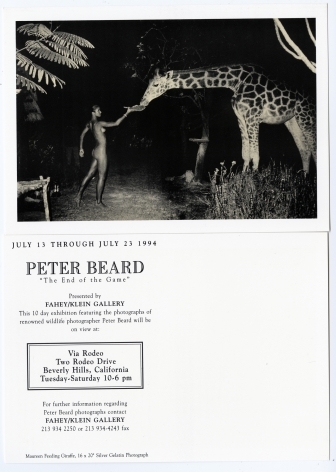 This work turned into Beard’s first book titled The End of The Game (1965). A fifty-year anniversary edition will be published later this year, 2015. Beard, now just gaining speed and loaded with ammunition, then collaborated with Alistair Graham on the book, Eyelids of Morning; The Mingled Destinies of Crocodiles and Men (1973), after which he wrote Longing for Darkness: Kamante’s Tales from Out of Africa (1975). 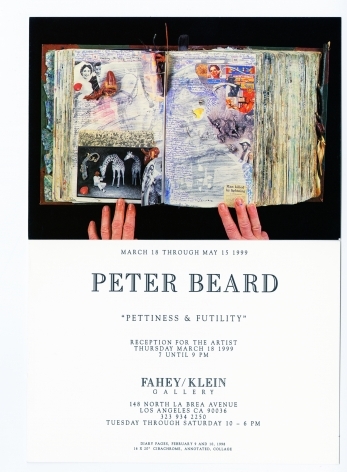 Beard’s first exhibition was at Blum Helman Gallery, New York, in 1975, quickly followed in 1977 by the landmark, one-man exhibition of his photographs, paintings, burned diaries, taxidermy, African artifacts, and books, amongst many other things, at New York’s International Center of Photography. Beard travelled around with his work, highly sought after because of both its equally devastating beauty and its message. 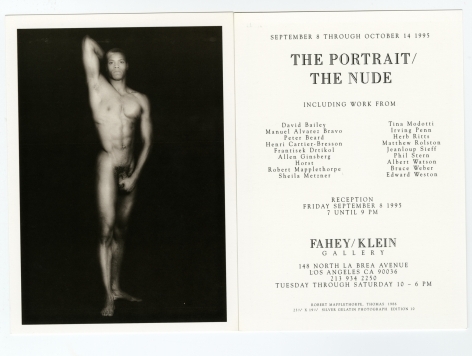 Along the way, true to form, he made many friends and collaborated with many other great artists like Andy Warhol, Francis Bacon, Salvador Dalí, Richard Lindner, Terry Southern, and Truman Capote. In 1996, although having suffered the ironic setback of being stepped on, vigorously and repeatedly, and then speared with a tusk through the left leg by a very angry elephant, it did not take long for Beard to “get back on his feet.” He promptly removed himself from the hospitals “dead” list that they brought him in on, had his pelvis and hips screwed back together, stitched up the gaping hole in his leg, and sailed in on his wheelchair to greet the crowds that gathered outside his first retrospective exhibition at the Centre National de la Photographie in Paris, followed by many more shows all around the world. 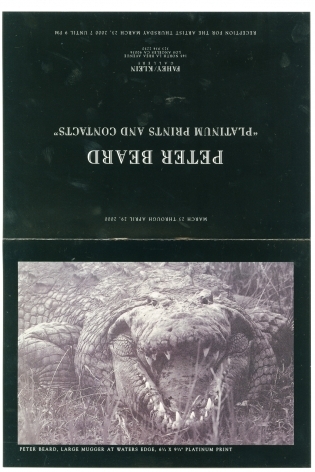 Beard completed two more books, one written for his daughter titled Zara’s Tales: Perilous Escapades in Equatorial Africa (2004), and the other self-titled Peter Beard, published by Taschen in November 2006 (collector editions), so popular that later trade editions were published in both 2008 and 2013. The fun never ends and Beard continues to live and work in New York City, Montauk, and Kenya with his wife Nejma and most beloved daughter, Zara.